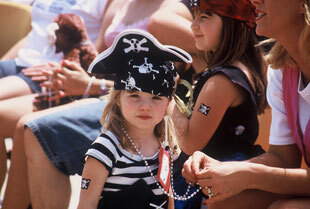 Kids' Activities - Louisiana Pirate Festival in Lake Charles! 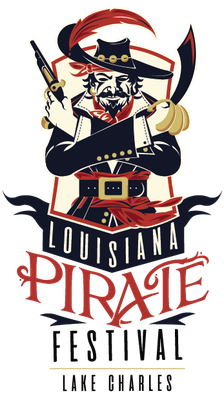 Get ready for great events at the 2019 Louisiana Pirate Festival! Be sure to check out the full schedule of events as well as musical entertainment and information on carnival rides and more. Fun for the whole family! Check out some of the features that will be at the festival in addition to carnival rides (which are super fun). 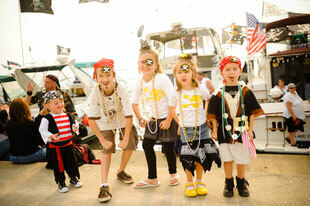 Dress up like a pirate and have a ball at the Louisiana Pirate Festival Costume Ball. Pirate on Parade! Who could ask for anything more? Everyone is invited to participate in the parade or be a festive parade-goer!